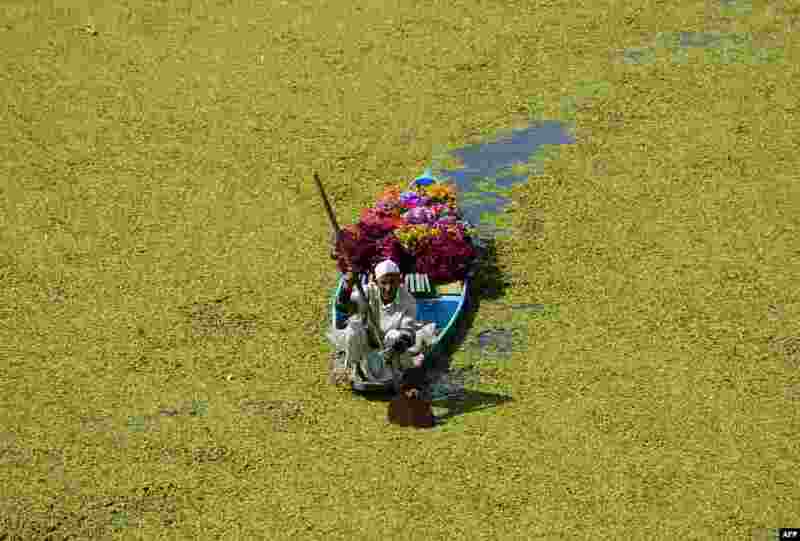 1 A Kashmiri flower vendor paddles his boat along Dal Lake in Srinagar, India. 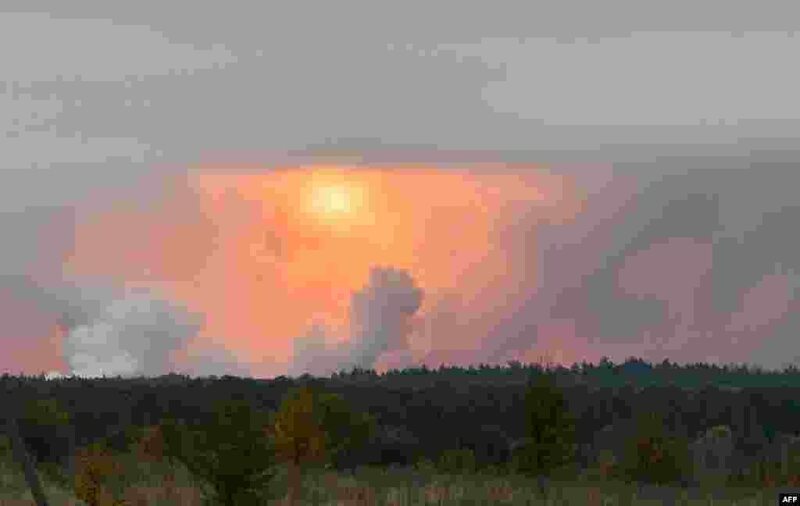 2 A fire ball is seen in the sky from the village Zaudaika, some 8 km from the epicenter of a serie of explosions at an ammunition depot in Ukraine’s northern Chernihiv region, north of Ukraine. Some 12,000 people were evacuated after ammunition began exploding and set off a huge fire, authorities said. 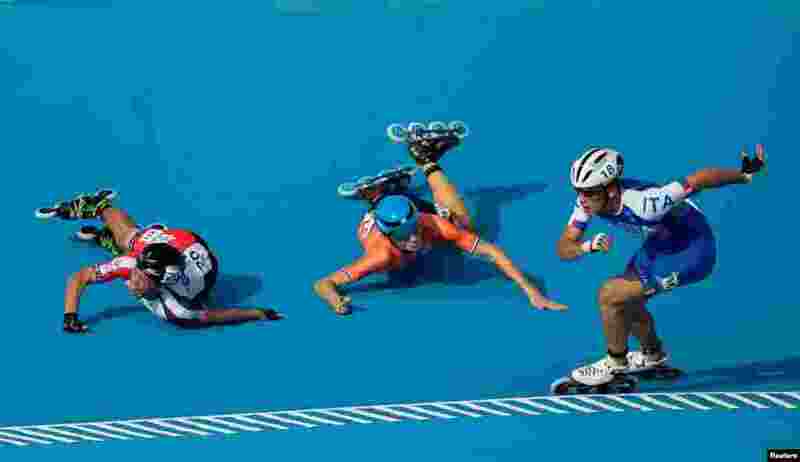 3 Vincenzo Maiorca of Italy takes the lead as Chiawei Chang of Taiwan and Merijn Scheperkamp of the Netherlands fall during the Roller Speed Skating Mens Combined Speed Event Final at the Paseo De La Costa during the Youth Olympic Games, Buenos Aires, Argentina, Oct. 8, 2018. 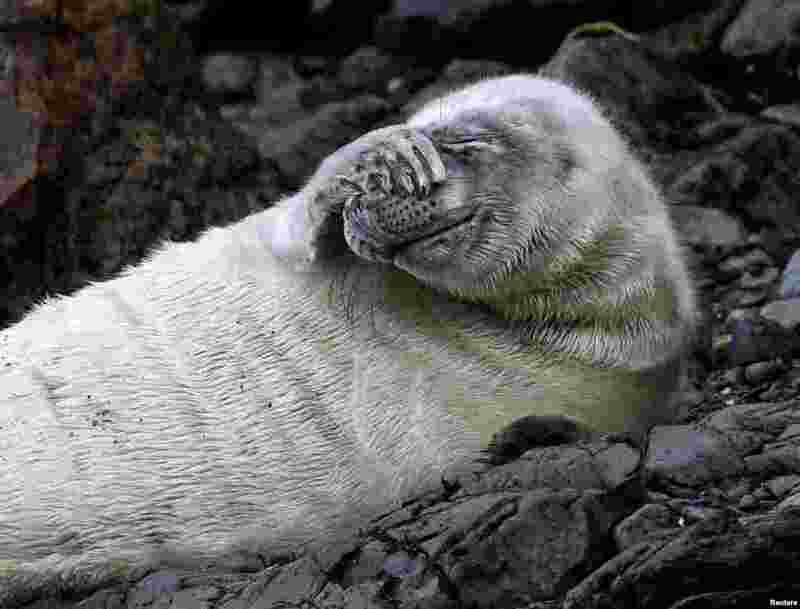 4 An Atlantic seal pup lies at St Martin's Haven, Pembrokeshire, Wales, Britain, Oct. 8, 2018.